Seeking wisdom in the ordinary: Will you join my journey? How do you define success? Wealth, power, fame? For me, it was achievement. I absorbed other people’s definitions of what that meant in my field (journalism and writing), and that became my goal. And I achieved a lot. But recently, I turned sixty, and now I’m seeking a new way to define success. It has more to do with the way we treat others, how we sustain our closest relationships, and what we do to make a difference in the world around us. Look at the celebrities whose antics bombard us. They have achieved greatly in their fields: sports, music, movies, politics, even religion. Yet one kills his girlfriend, another gets arrested for shoplifting. One dies of a drug overdose, another preaches family values and gets exposed with his pants down. Even those famous for doing good for others sometimes get caught with their hand in the till. After twenty years in the news business, I understand that these are the exceptions, not the norm. Still, celebrities are no place to look for role models. I suspect that our best role models are ordinary people around us. I discovered this myself when I set out to interview older women I admire as wise. I asked each of these wise women twenty questions about how to improve relationships, cope with tough emotions, navigate rocky midlife transitions, and achieve a sense of calm and contentment. 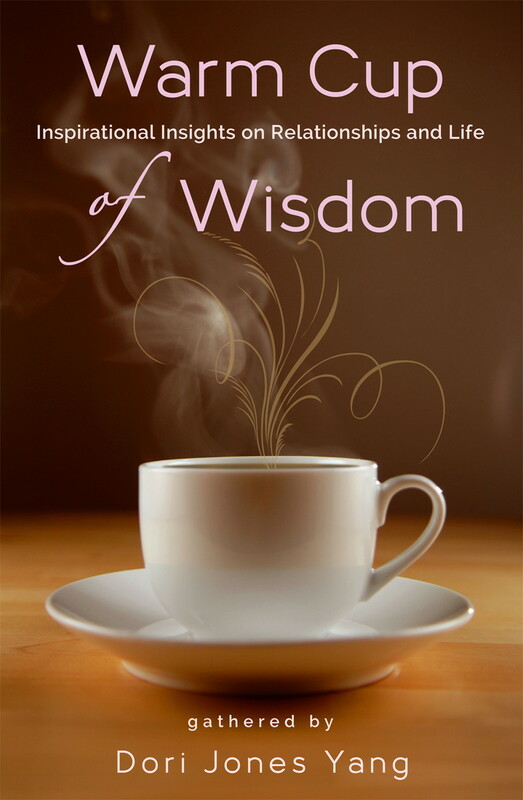 In their answers, I found surprising insights, actionable suggestions, and inspiration, and I gathered them in a book, Warm Cup of Wisdom: Inspirational Insights on Relationships and Life. Fired with the enthusiasm from that book, I am now embarking on a larger journey. I want to find a way to be wiser in the second half of life. I want to become deeper, more thoughtful, more intentional about how I live my life, with guidance from ordinary people who have grown from their mistakes. One of my wise women told me, “I love to dwell in the beauty of the ordinary.” I’d like to take that one step further: I’d like to seek wisdom in the ordinary. I want to find ordinary folks who are wise—of all ages, but especially elders. I want to interview them, to ask them to share their insights. I envision a guidebook for a good life, co-authored with people who have figured it out. I’d like to ask you to help me with this wisdom project. You can recommend people I should profile – or better yet, interviewing them yourself. Ask them some of my questions, and send me their answers. I will choose some to feature on this blog. Perhaps, if they agree, they will show up in my next book. They might like that, but the real benefit goes to you: you’ve expanded your community and opened up dialogue with someone you admire as wise. Together, we can find caches of wisdom that appeal to many of us, in our marvelous variety of personalities and backgrounds. Like gold or copper or rare earths, they are out there under otherwise ordinary landscapes, and we can mine them. But unlike minerals, this wisdom will grow and spread once it is brought out of the depths into the sunshine. The pursuit of wisdom is a journey without an endpoint. No one can say, “I made it! I’m wise now.” The best we can do is to notice how wisdom has improved our relationships and our lives. So my goal is not the achievement of wisdom but a calm, reassuring sense that I am wiser now than I was a year ago—with the hope that I’ll be wiser a year from now. This entry was posted in Purpose and tagged inspirational books on wisdom, seeking wisdom, wisdom. Bookmark the permalink.